On the last trip to the lumber store there was a really nice looking piece of ambrosia maple that everyone seemed to be ignoring. It wasn’t priced outrageously. It wasn’t abnormally short or narrow. But it was badly bowed. The board was ~40″ long but about 1/3 of the way down the board, it was bowed about 1-2″ (I’m probably exaggerating for purposes of the story). No one wanted it because it would be difficult to use in most applications. The photo below shows how large the bow was. I don’t mean to imply that I have some magical fix for the board, but I was able to use the board with a strategic cut around the bowed section. I was building a box and was able to locate the primary cut just to the side of the worst part of the bowed section. After cutting the boards they weren’t instantly flat. 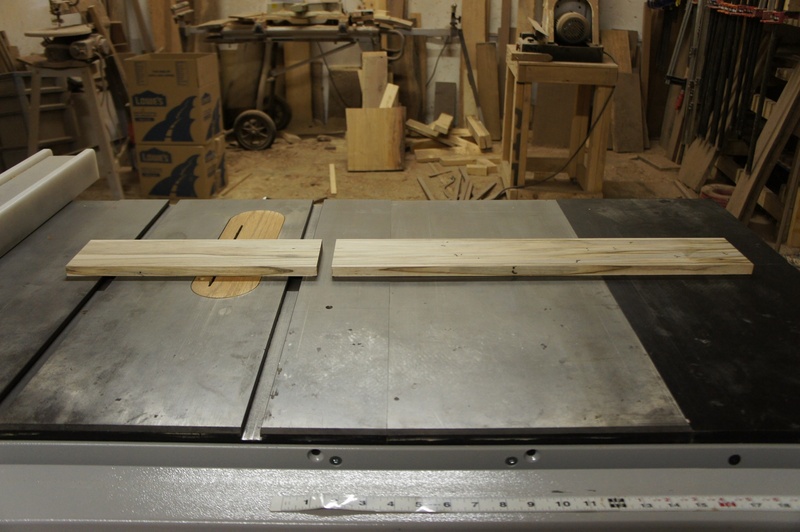 They still required more work (couple of passes over the jointer and through the planer), but the waste from this one board was minimized. The photo below shows the 2 boards now “flat”. I decided to make a variation on the Edison lamps I’ve been making so many of. Actually, this “lamp” will be the opposite of an “Edison” lamp. Rather than featuring the light bulbs that give those lamps their unique look, this lamp will just have a sheet of rice paper sandwiched between 2 pieces of glass. The interior of the lamp be wired with strings of LED lights powered by a battery – great news for me (no light sockets, wiring, switches, etc.) – all of the time consuming steps of the Edison build are avoided. This will be my modern take on a shoji lamp. When doing the dovetailed boxes, I insist on getting at least the front and sides of the box out of one continuous piece of lumber. The primary reason I do this is that I want the grain to wrap around the piece. 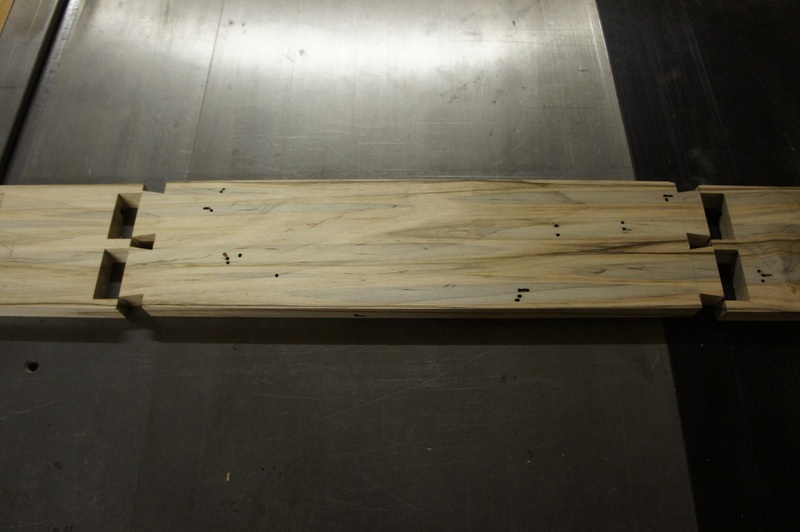 In the case of highly figured lumber (e.g., this piece of maple) it is even more important than ever. You can see in some of the photos below how the grain and coloring will wrap around this piece (side note: I’m not sure why, but I decided to keep my new cherry napkin holder in the photo). If all goes according to plan, I should be getting this piece into the finishing phases next weekend. 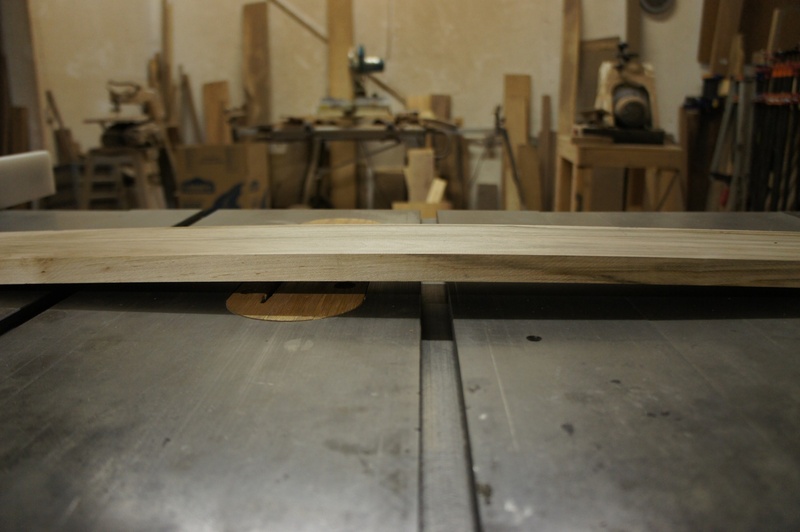 Hopefully, all of the effort associated with this bowed board will be worth it. 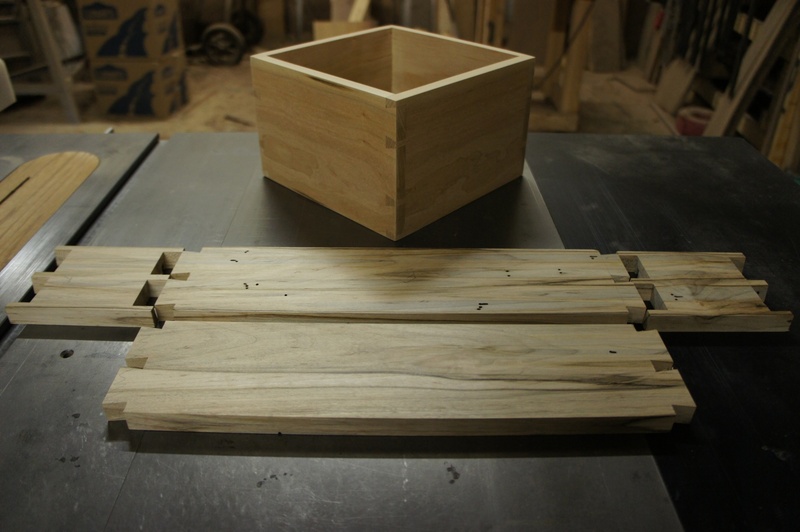 Categories: WIP | Tags: Ambrosia, dovetails, maple, WIP | Permalink.